Our current technological age heavily demands every techie to be rigorously up-to-date with what gadgets are trending, that makes choosing a new phone quite difficult due to a very wide selection of phones that compete with each other. One thing I strictly take into consideration when choosing a new phone is the quality of its camera, especially since I need it for my blog. And for that, I love my Huawei Nexus 6P. 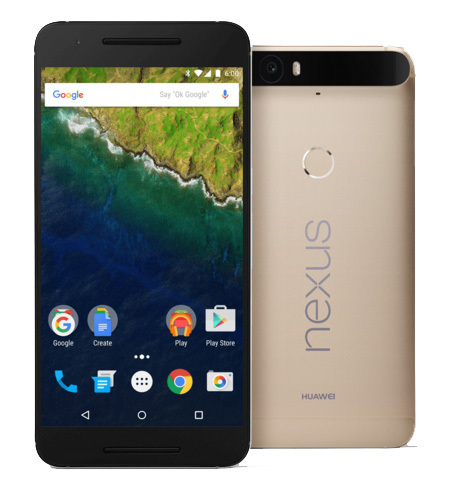 Huawei Nexus 6P is an elegantly designed android smartphone. With its full metal body, 3D curve glass and diamond chamfers, one couldn't just miss it. 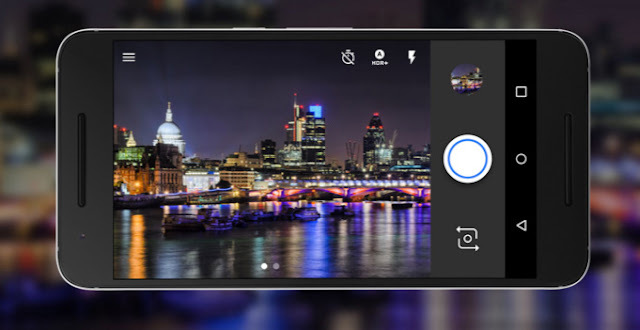 But what I like about it even more is that Huawei Nexus 6P packs a powerful 12.3MP all-round camera that truly shines in conditions even with less than ideal lighting. 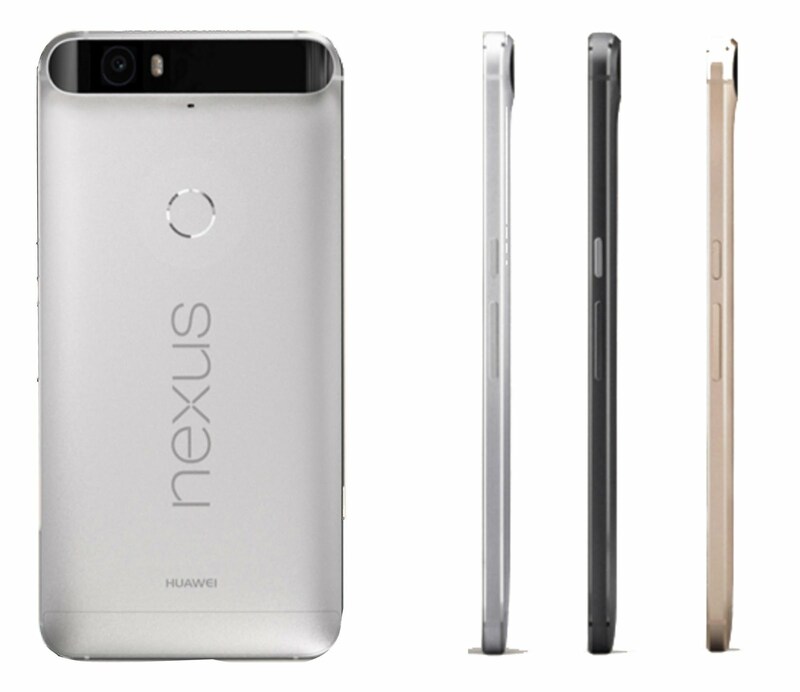 Huawei Nexus 6P's 1.55μm pixels captures more light! It's so powerful that every photo taken is vivid, alluring, and worth sharing. 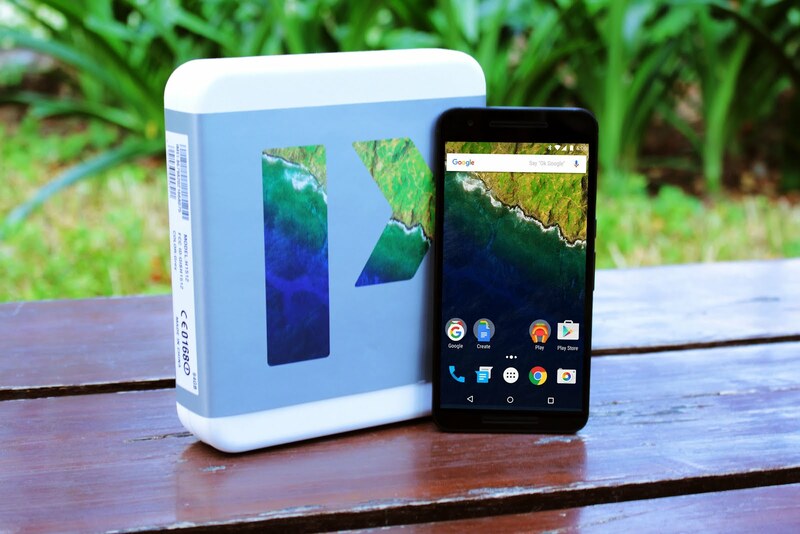 Speaking of sharing, are you a fan of Google Photos™ app like me? Good news! Organizing, sharing and backing up your photos have never been this easy. Google Photos™ comes with the device itself, sorting your photos in a way that makes them easy to find and search. 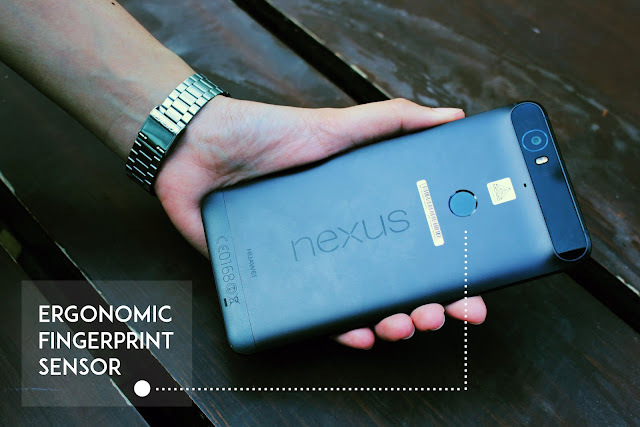 I value the privacy and safety of my files, which is why I really love that Nexus 6P comes with a fingerprint sensor. It's so nifty that one single touch lets me get at my apps, emails and photos really quickly and easily, too, while at the same time giving my phone maximum protection. 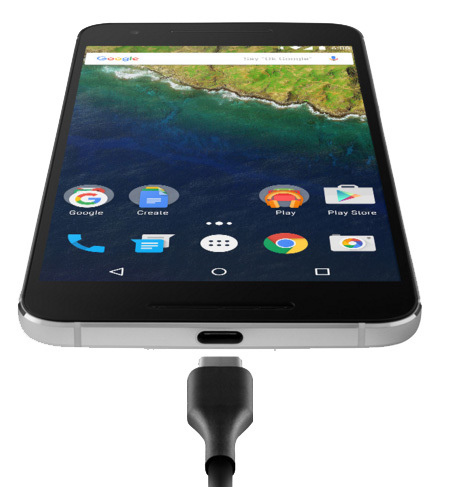 The dedicated keystore system and encryption engine keeps Nexus 6P fast and secure. 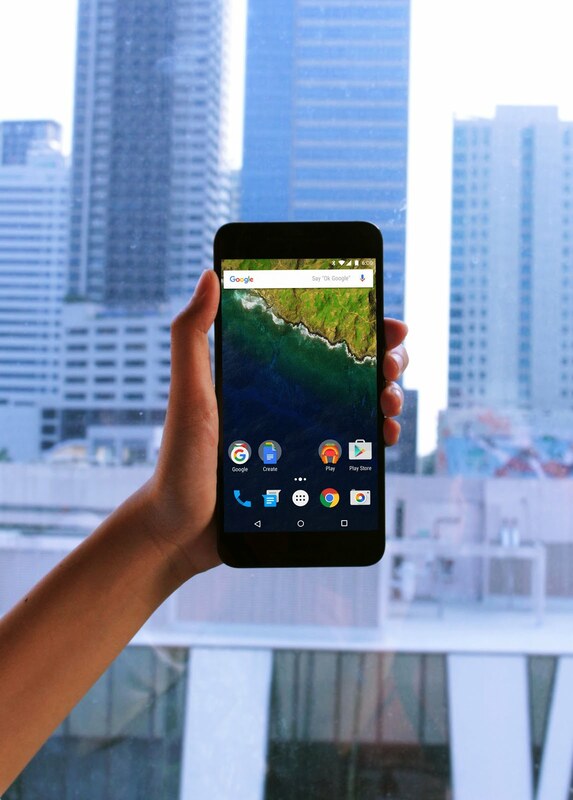 I won't even deny, I fell in love with Huawei Nexus 6P at first sight. It comes with 4 stylish, elegant colors: Matte Gold, Graphite (Black), Aluminum and Frost. I squealed in delight when I learned that it included Matte Gold. Yes, Matte. Gold. The 5.7-inch WQHD AMOLED display depicts a stunning clarity with its 518 pixels per inch resolution. It also has Corning Gorilla Glass 4 for added screen protection. 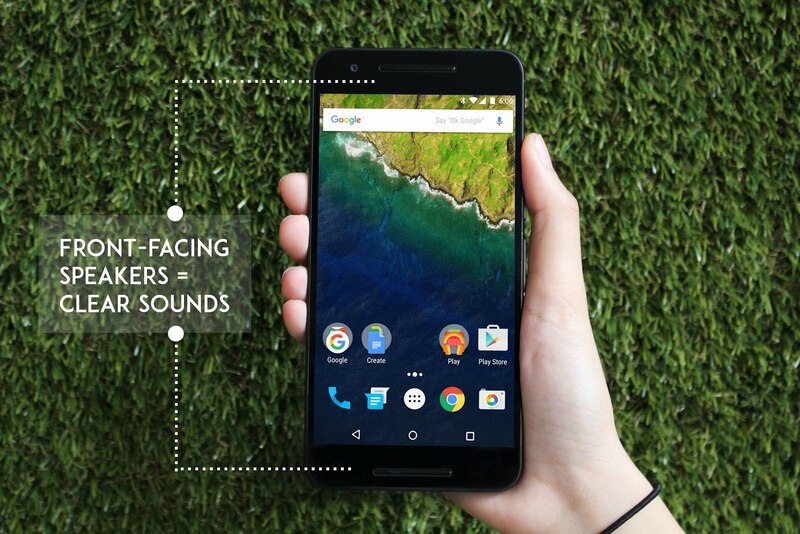 If you're like me who loves her phone squeaky clean and shiny, it's a guarantee that you will love Nexus 6P's fingerprint and smudge-resistant oleophobic coating. Tired of smartphones that run out of battery way too fast? Fret not as Huawei Nexus 6P is also a goldmine for its long-lasting 3450 mAh battery. 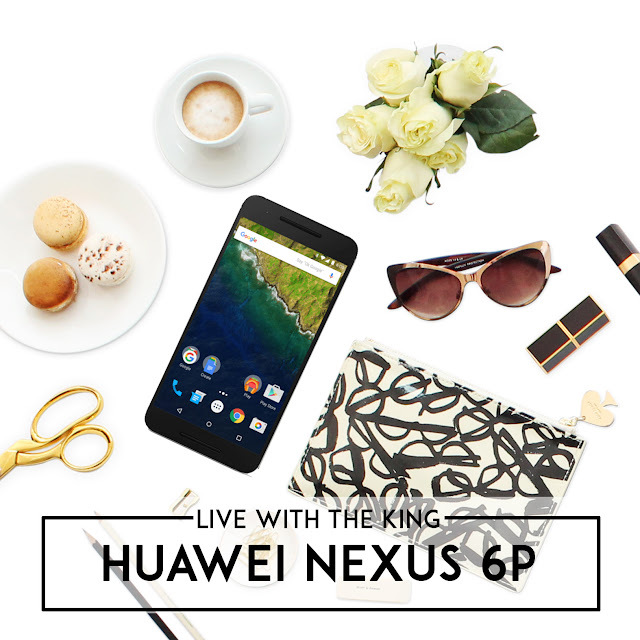 No more unnecessary waiting because with the added support from a reversible USB Type-C, Huawei Nexus 6P charges even faster. With Huawei Nexus 6P's front-facing speakers, you no longer have to worry about muffled ringtones when placing your phone on top of a table. It's incredibly clear that playing your favorite Spotify playlist will sound sonically richer and more pleasant. Moreover, the quality of the bass exceeds the ordinary speakers you see in almost all other phones. Truth be told, I'm kind of hesitant to blog about this great discovery yet. I'm still indulging my eureka moment that I don't want to burst the bubble just yet. But I changed my mind, this impressive makeup deserves the limelight. 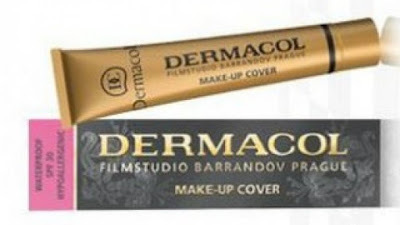 Dermacol is a European brand. It started in a film studio in Prague and since then has remained under Czech ownership. Since the success of the efforts of film studio experts combined with medical-cosmetics specialists: the Make-up Cover line was born. So when I found out that my makeup artist friend got this, I knew I got to try it. So now, I got three trial shades to choose from. 1. Choosing Dermacol shades can be a bit tricky for Asian skin tones. 2. The price can be steep so it's safe to be sure before purchasing. 3. This is not available locally. Since it's made in Europe, chances are the colors lean more on the Caucasian side. * They can be a little too light for some. 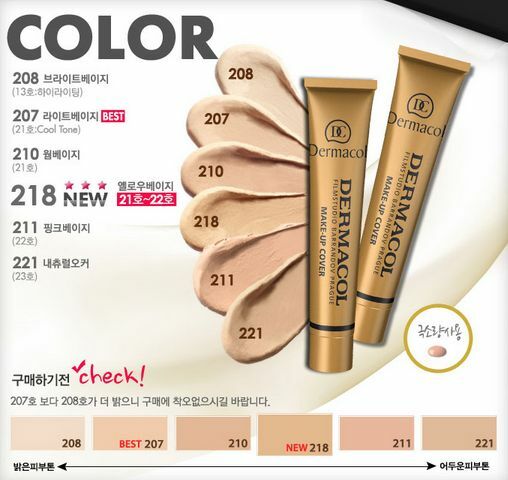 Dermacol Make-up Cover that are made in South Korea, I believe, are now coming up with new shades that are more yellowish in tone. Hooray for that! Dermacol Make-up Cover 30g (P900) is housed in small squeeze-type tube. It's as small as that of the size of a small toothpaste tube. But don't let the size fool you. Believe me, it is unbelievably super pigmented that a dot-size goes a super long way! Dermacol Make-up Cover is creamy but not runny. The texture reminded me of Revlon whipped creme foundation, it's pretty thick but the latter is much runnier in texture. With regards to the scent, I dunno about you but it reminded me of Chin Chun Su/Mena Cream's smell? I dunno maybe it's just me but the smell is nothing that can gross you out. It is fairly tolerable and it fades off easily. Dermacol Make-up Cover has this velvety feel upon application and you can definitely tell right off the bat that it's gonna give a good full coverage. It provides an outstanding coverage even with pea size amount of product. One thin layer could cover a lot of imperfections. LIKE REALLY A LOT. Don't believe me? It completely covers acne scars, dark circles, bruises, and guess what...even tattoos; without looking overly done and unnatural. I suggest taking your time in blending everything away because it has a tendency to look cakey. Dermacol Make-up Cover sets pretty matte. The kind of matte with glow and natural-looking. Longevity-wise it promises to be waterproof, it stays on me longer than my usual foundies. 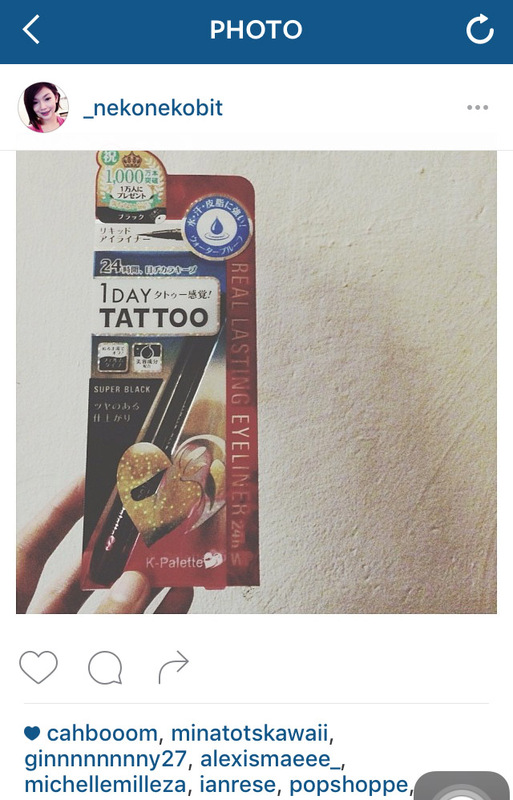 I don't think it's oil-free so it oxidizes, though. I got shades 210, 218 and 221. I've always loved stocking different shades of foundations for summer and winter use. And as per the advice of most users, these are the best shades to combine to come up with your desired color. I rarely use this since this is totally not my shade. It is too light for my skin tone. Sometimes, I mix it with the other shades to make them a little, just a little lighter when I'm feeling experimental. It may not be very obvious on the photos due to lighting but there's a stark difference between my skin color and this shade. Upon application, it appears lighter than my skin tone but once it sets (and oxidizes), it turns just the right match for me. Plus it is totally yellow toned so no complaints. Pinay users favorite. * It's close to NC30 so it really fits medium/beige/warm skinned people. I personally love this shade too. This shade literally disappears on my cheeks and jaws upon application. The downside though, I'm acidic so there's tendency for this shade to look even more darker on me after I sweat. 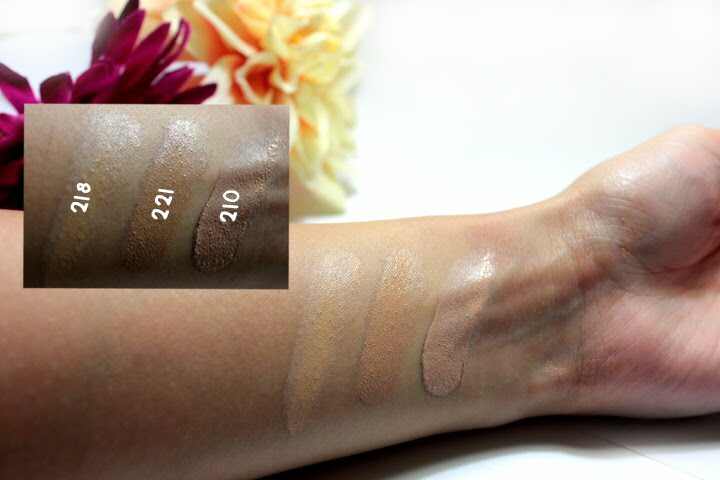 That's when the mixing of these 3 shades totally become useful, believe me. 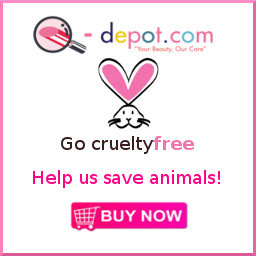 What I Like About Dermacol Make-Up Cover? After blending away Shade 210. 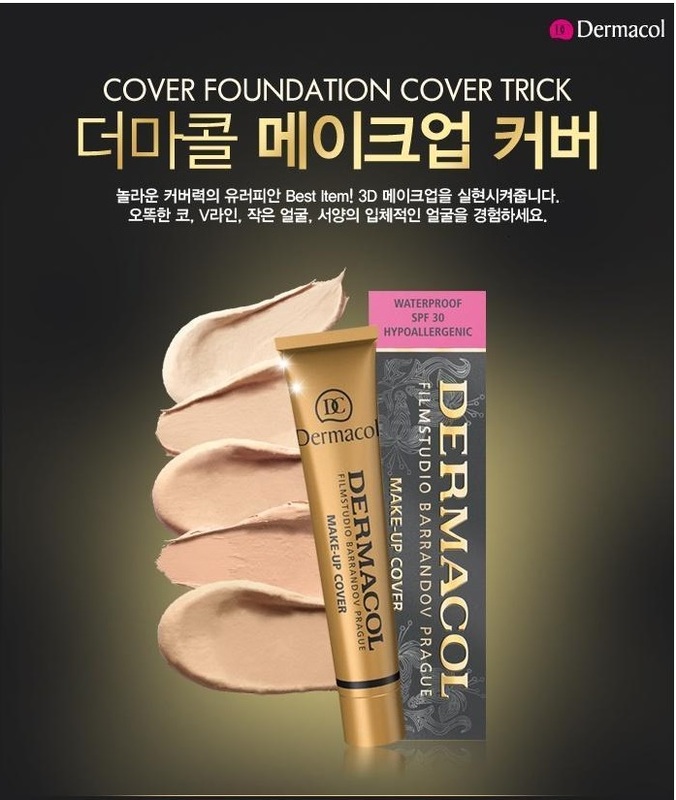 Dermacol Make-Up Cover Benefits: It promises to be waterproof, hypoallergenic for all skin types. It has SPF 30 and preservative-free. What I Don't Like About Dermacol Make-Up Cover? • It oxidizes. Not oil-free. • Blending can be a real challenge. 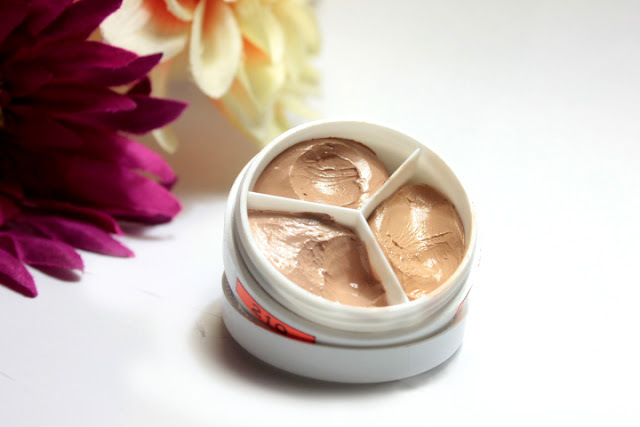 It is creamy and it glides on smoothly, yes, but it is super thick. A good clean brush or damp sponge will be your bestfriend. • NOT hypoallergenic as it claims to be. 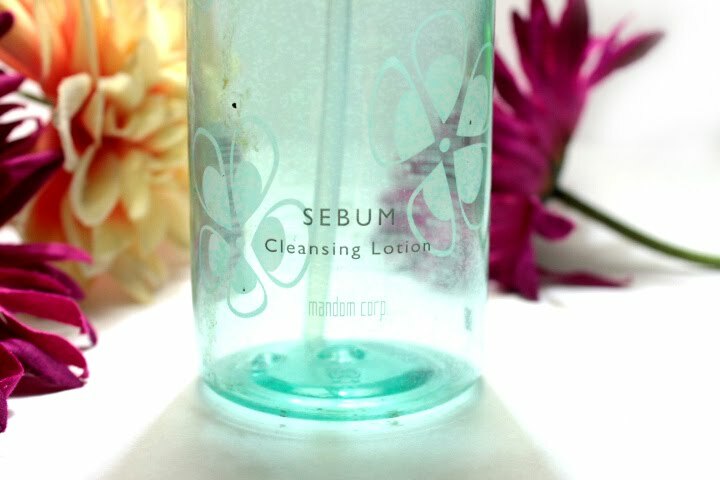 I suggest to be keen in cleaning your face every after use (to avoid clogged pores). Even before receiving Dermacol. I was advised by my friend that if I have Clarisonic or any facial cleaning tool, it'll be best if I use them diligently if I will be using Dermacol regularly (since according to her: it can sometimes feel too heavy and clogging for the skin). I'm so used to heavy makeups so this is no new thing to me. Also, I heard some users claiming that after using Dermacol their face become bumpy and filled with tiny bumps which I can only guess as blocked pores. I did get zits but I can't totally blame it on Dermacol as I was also doing my thesis when I started using it. Also, I drink caffeine like there's no tomorrow so yeah, talk about bad lifestyle. Disclaimer: Even though I have listed a couple of things under the cons side doesn't entirely mean that you should skip Dermacol away from your To-Buy List. DERMACOL WILL ALWAYS HAVE A SPECIAL PLACE IN MY VANITY KIT AS IT REALLY IS SUPER AMAZING. I just wanted to be completely honest because for what it's worth I want you, readers, to be able to carefully consider what's worth spending or not. Overall, I honestly think that Dermacol Make-up Cover is really worth the money. It can be pricey for some but it's really worth investing. My advice though, especially if you're planning to use this on a regular basis: like for everyday work, it's safe to be very, very diligent in cleaning and washing everything off your face. I know it's pretty long but I really hope that this review has been very helpful. Let me know if you've bought one yourself. Hit me up on the comment box! If you're into double cleansing and using oil-based cleansers in removing your makeup then you should try Bifesta. They have different variants depending on your skin type and skin problem. 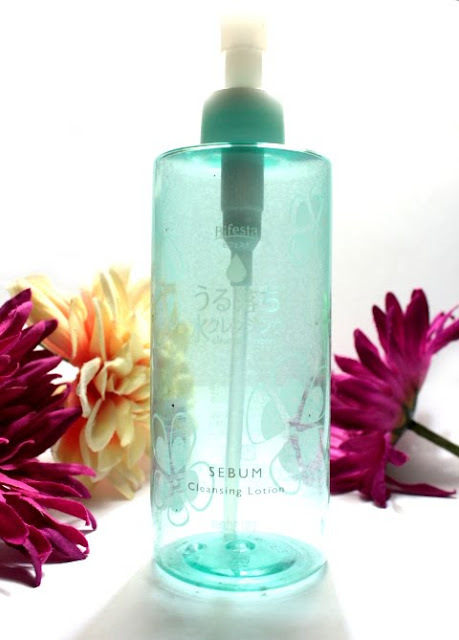 I personally tried and loved the 'Sebum' variant intended for oily skin. Check my brief review here. 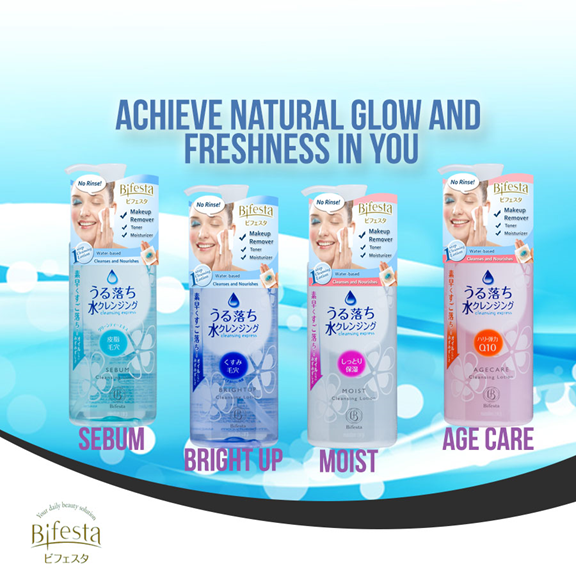 Bifesta is available in Watsons and SM department stores. Photo via Bifesta Philippines Facebook Page. The arrival of Biore to the Philippines is truly heaven sent. They have a wide range of impressive skincare items - from makeup wipes, makeup cleansers up to sunscreens - and trust me, they work wonders. 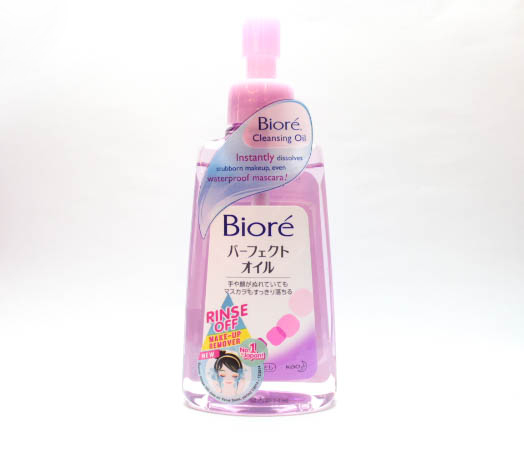 I have thorough reviews of both Biore's makeup remover and sunscreen here in my blog so go check 'em out! 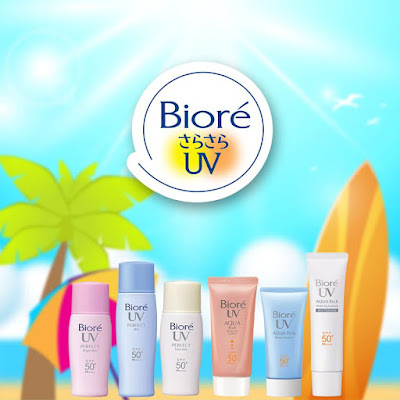 Biore is Available in Watsons, Landmark and SM Department stores; and online through BeautyMNL. Photo via Biore Philippines Facebook Page. 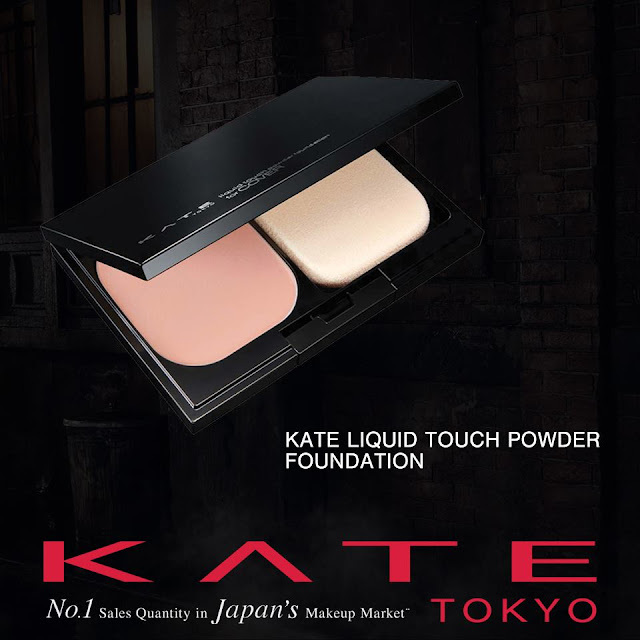 Canmake is a drugstore cosmetics brand. 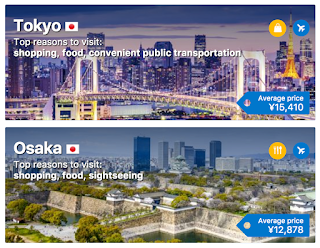 In Japan, their target market consists mainly of the younger group - mostly students - because of their pocket-friendly price tag. 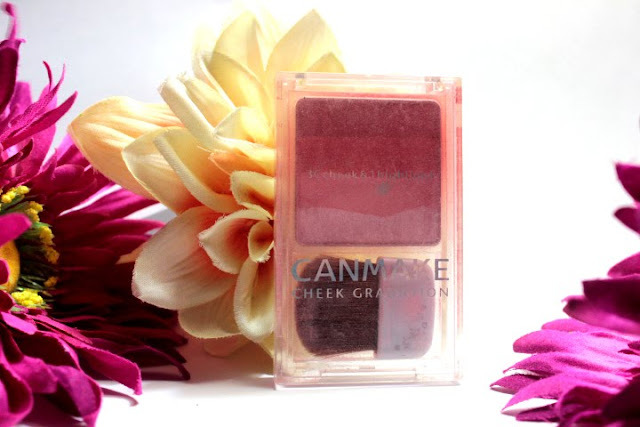 Albeit affordably cheap, Canmake is a goldmine of quality makeup products. 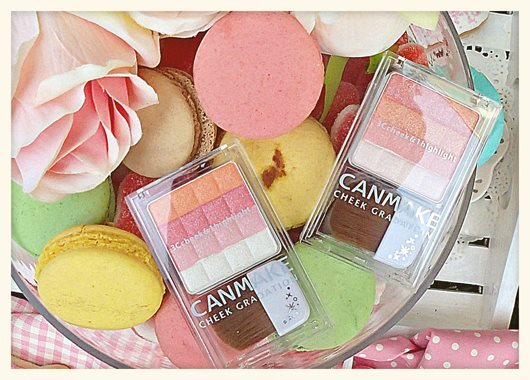 You can bet that Canmake is one of my favorite makeup brands when I was studying in Japan. I personally loved their Gradiation Blushes, Highlighters and Contour Powders. Canmake is available in Landmark, Purebeauty Serendra/Trinoma, PCX Alabang Town Center, Rockwell, and Greenbelt. Photo via Canmake Philippines Facebook Page. If you read J-magazines: especially Popteen, then you've probably seen this Tsubasa Masuwaka-produced makeup brand. 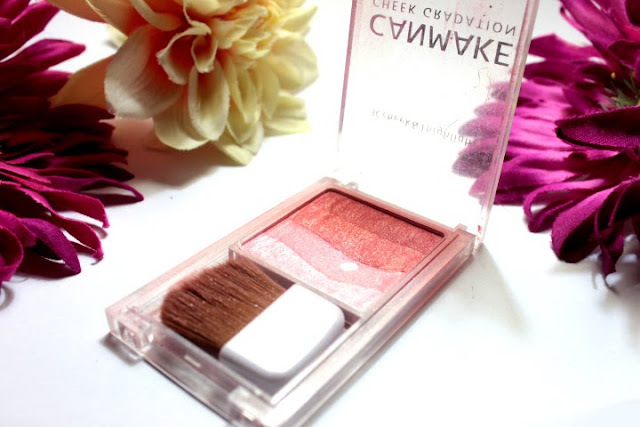 Dolly Wink is another drugstore makeup brand. They are known for their pigmented eyeshadow quads and natural-looking falsies. Dolly Wink is available in Watsons and SM Department stores, Landmark, Purebeauty; And online through BeautyMNL. Photo via Dolly Wink Philippines Facebook Page. Fairydrops is known for their exceptional mascara types and their Candy Bar BB cream. I believe they're with the first ones to introduce BB creams with sponge applicator attached. 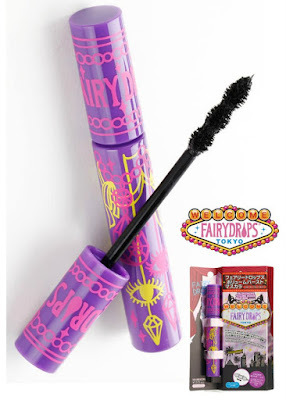 I yet have to try Fairydrops items but I'm eyeing their Volume Burst Mascara and Creamy Treatment (Base Mascara). Fairydrops is available at Beauty Bar outlets, and online through BeautyMNL and BDJbox. Photo via Fairydrops Philippines Facebook Page. How do I even start with this? I love KATE. So believe me when I tell you I squealed like crazy when I found out they're already here. I think I even blogged about it back in Tumblr out of too much excitement. Who wouldn't love their sleek packaging? Such class! Recommended products are their eyebrow kit, their liquid matte bases and powder foundations. KATE is available in Landmark, Watsons and SM Department Stores. Another fan-favorite and a personal favorite is the K-PALETTE 1-Day Tattoo Liquid Eyeliner (P795). I haven't gotten the chance to review this but before I start with my faves, what is K-palette by the way? K-palette is another drugstore brand. 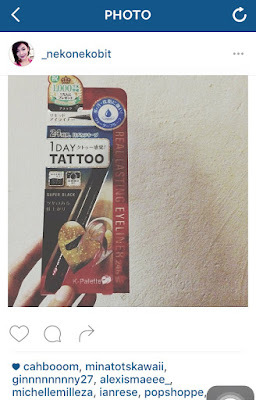 They promise to deliver a long-lasting waterproof products through their '1-day tattoo' line. Back in Japan, I used to just move pass them because they rarely have kiosks or special space to hold up their name. They're literally just your drugstore brand lying around. But lo and behold, this baby is something. Luckily, just when I was about to fly to Japan for a vacay, K-palette was introduced and released in Manila. I knew I had to try it. And boy, I loved it! I hoarded and brought 'em packs with me to Manila haha! Recommended products are their eyebrow pens, pencil and liquid eyeliners. 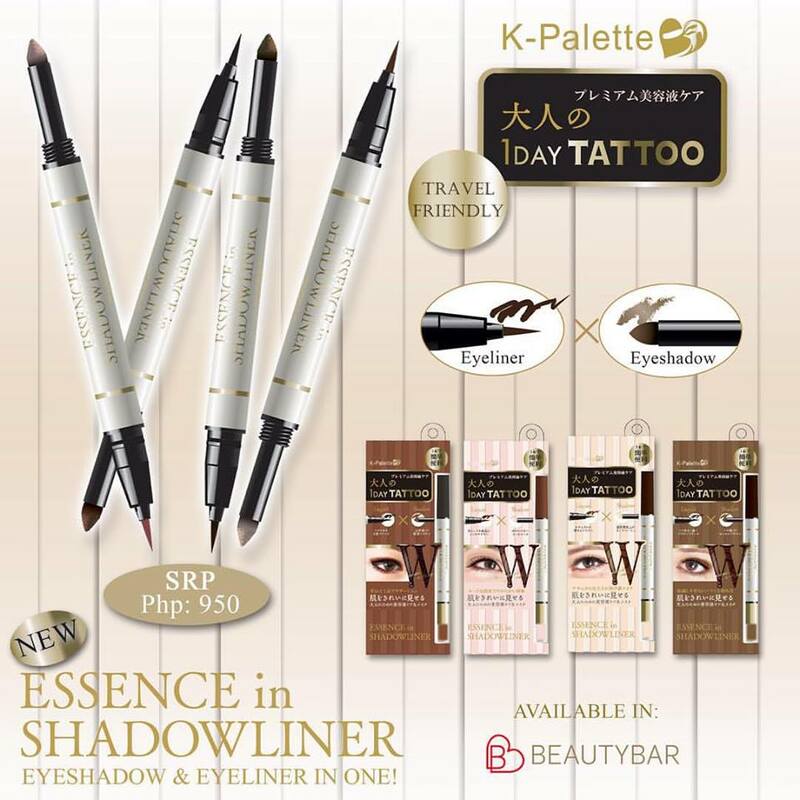 K-palette is available in Beauty Bar stores, Watsons, and SM Department stores. Majolica Majorca is Shiseido's sister brand for the younger group; that already says something about the quality. 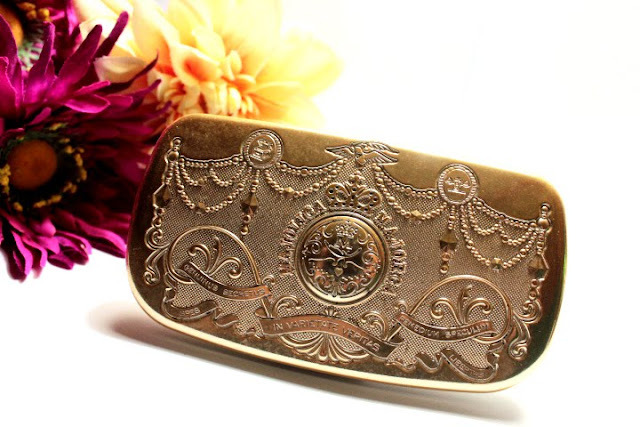 Withal the classy (princessy) packaging and impressive quality is a reasonable price tag. Who wouldn't love that? Recommended items are their eyeshadow quads and powder foundation. Majolica Majorca is available in Watsons and SM Department stores. 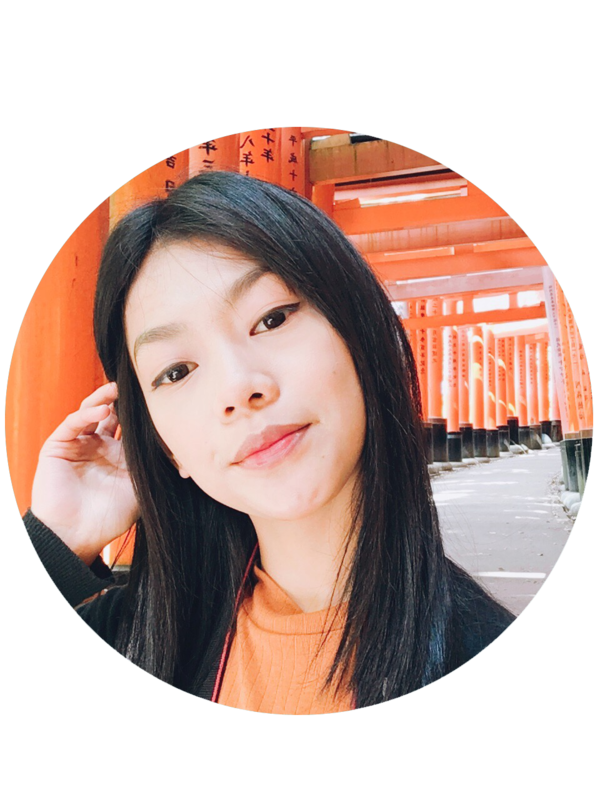 I'm not big on Shiseido makeups (except Mom haha); but we've been using Shiseido Tsubaki shampoos and all that hair stuff in Japan and we love them. Shiseido products' price leans towards the working class and up; price can be a tad spendy for some. If fate permits, I want to try their brightening skincare line - White Lucent - as I heard beauty enthusiasts rave about it. Shiseido Philippines is available at Shangri-la Plaza, Greenbelt 5, ATC, Trinoma, Century Mall Makati, Lucky Chinatown Mall Manila, Abreeza Mall and Ayala Center Cebu. And online through BeautyMNL. Speaking of raves, Shu Uemura's cleansing oil and eyelash curler are all the rage in the beauty community. 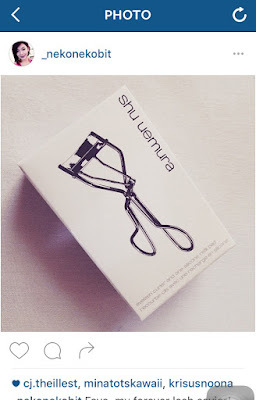 I yet have to get my hands on their famous cleansing oil but I've personally tried Shu Uemura's Eyelash Curler (P1,000+). And I never switched since then. Don't get me wrong, who spends thousand bucks for a single eyelash curler, right? I know. I can still remember buying eyelash curlers worth 150 pesos because my heart won't readily accept shelling out P300+ for an eyelash curler. Haha! B-but...Shu Uemura Eyelash Curler curls like no other. It doesn't pinch my skin; take note I have a rather weird eye shape. Also, it grabs all of my eyelash hair in one try. Like, literally it made my eyelash curling life so much easier. 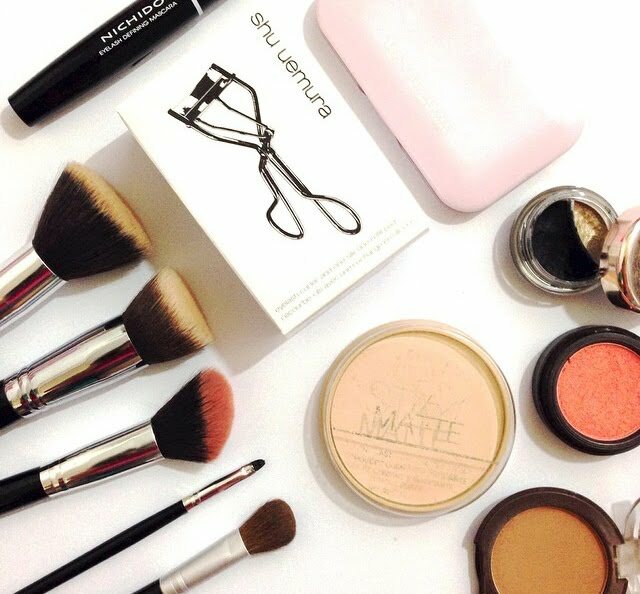 Shu Uemura is available in Trinoma, Shangri-la Plaza Mall, Powerplant Mall, Rustans Makati and Alabang Town Center. Get them online through BeautyMNL. I've always loved Etude House's princess treatment. And their point-rebate system through their Pink Membership Card is one of the things that make me go back even more. No moolah? No problem. One time I dropped by inside the store and thanks to the points I've accumulated, I didn't come out of the store empty-handed. Hooray for free items! Speaking of the Pink Membership, you can be a member and get the card for free for a total payment of PHP 500 (single receipt). Easy peasy, right? But here comes the big deal. Let's get real: since some of us are still students, the only thing we can depend on is our little savings. So let your hair down because I listed 5 affordable items you can get for only P500. YES, FIVE ITEMS for only 500 pesos. Image via Etude House Philippines. 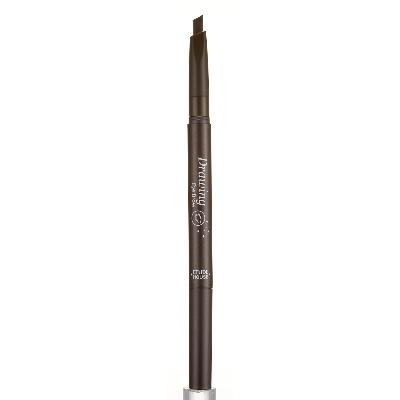 Step up your brow game with Etude House Drawing Eyebrow. With its angled, ultra-fine tip and retractable design (+ affordable price), this baby surely made it as a fan-favorite. Don't believe me? Try it yourself. But hurry! This baby runs out of stock real quick. Available in different shades (White, Black and Brown). 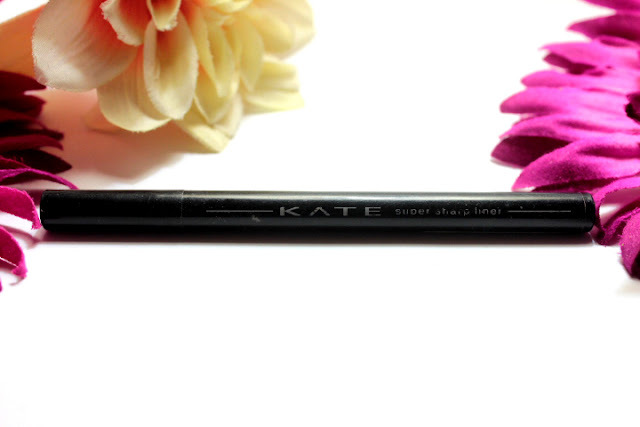 This retractable pencil eyeliner is a game changer. Lately I find myself digging through my vanity kit for a pencil eyeliner instead of a (liquid) brush eyeliner. I love this because it's really affordable plus I no longer have to sharpen it. Saves a lot of time! 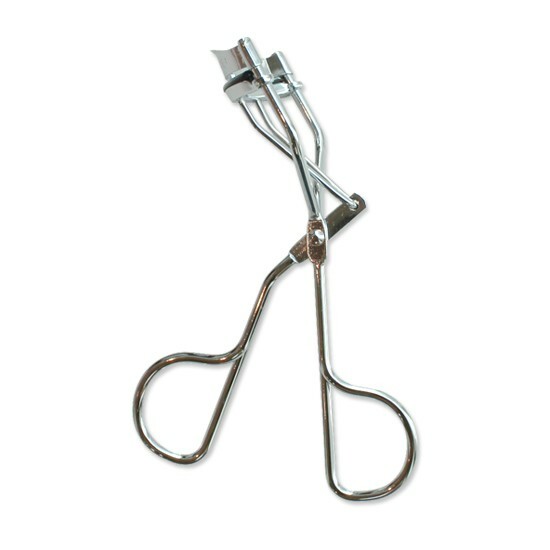 I believe this is the most affordable eyelash curler out in the market. 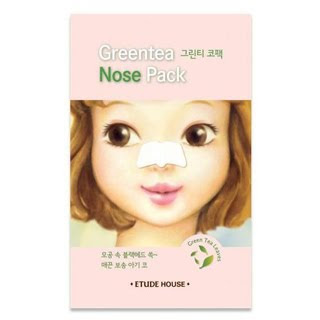 This nose pack is used to remove blackheads. 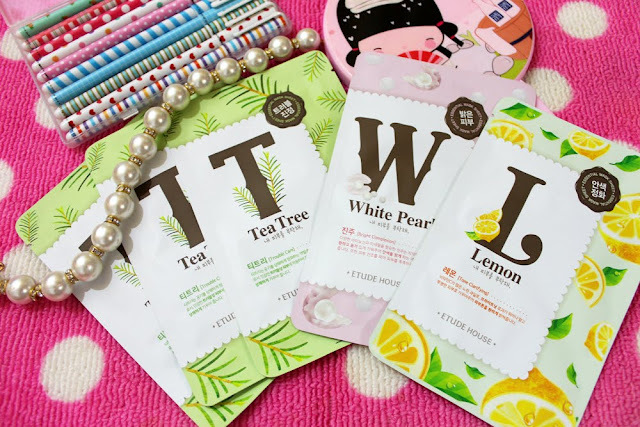 Using green tea, it promises to tighten pores with regular use and help keep skin smooth and clear. 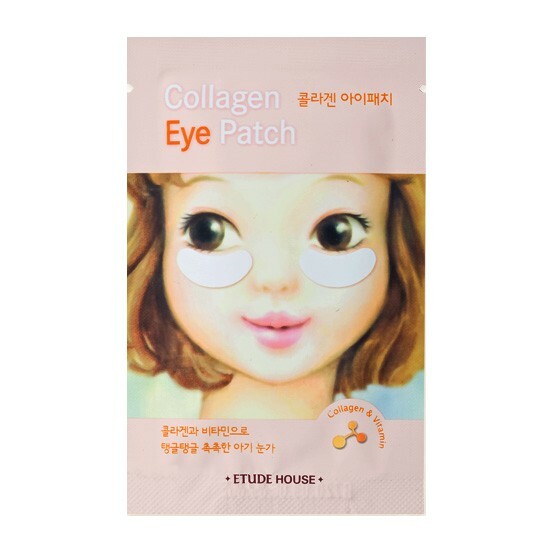 Revitalize dry and tired eyes using this collagen infused eye patch. 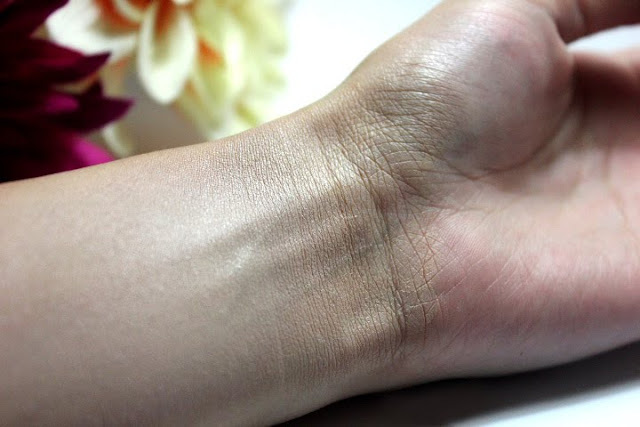 I'm not sure if I've already mentioned it here in my blog but I LOVE COLLAGEN. 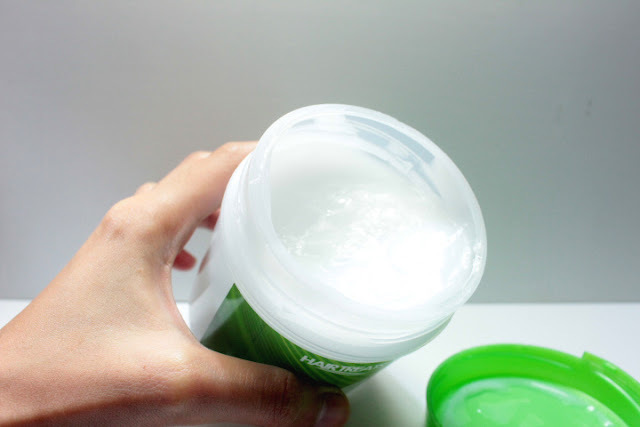 Collagen makes your skin extra supple and makes it look even more younger. I used to drink lots of powdered collagen from Japan, they're pretty pricey so I kind of stopped for a while. Now I've been drinking another kind of collagen drink which is a little pocket-friendly. Now, let's do the math! If you're feeling generous, might as well add up another bestseller item - facial sheet masks - which you can get for only 58 pesos each. My personal favorites are the Honey, Lemon, Tea Tree and Collagen variants. Hope you like this sort of P500-challenge. 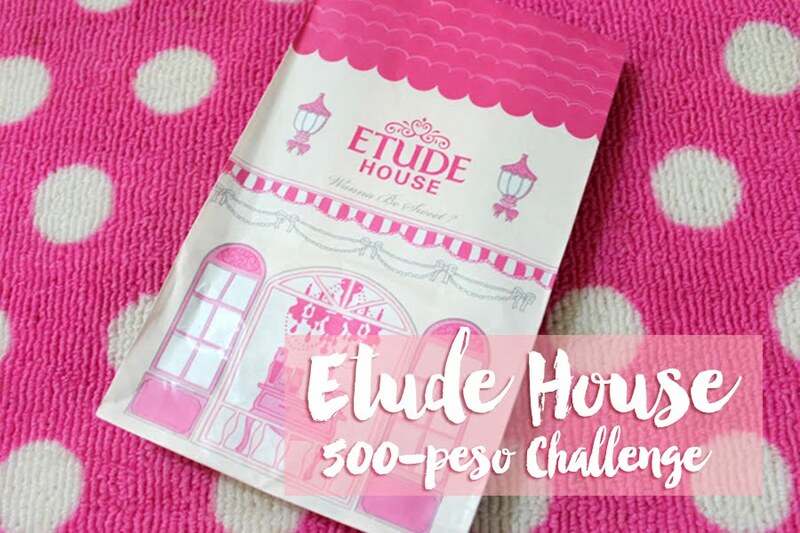 This isn't a sponsored post as I sincerely love and support Etude House Philippines. Thank you for reading! Source: Etude House Philippines, Images via Etude House Philippines. 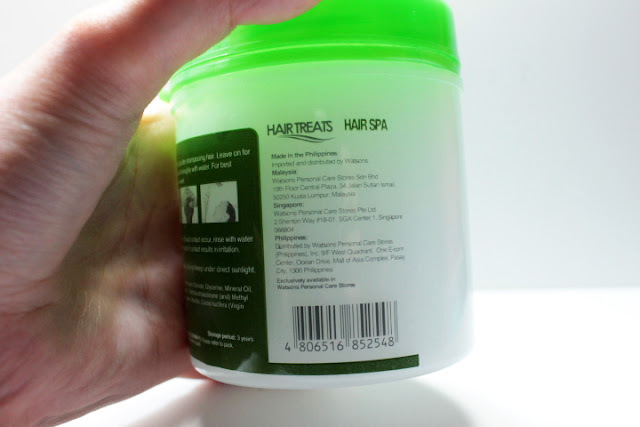 Unlike my skin which can get like a ball of grease, my hair on the other hand usually get extremely dry and frizzy. I notice more of this drying every summer. So during these times I'm always on the look for something that could keep my locks moisturized and frizz-free. If you do have a frizz-prone hair like mine, having regular salon hot oil treatments is our savior. But these treatments could totally hurt your pocket, so here's Watson's Hair Treats Hair Spa. They're pretty cheap and they work wonders. 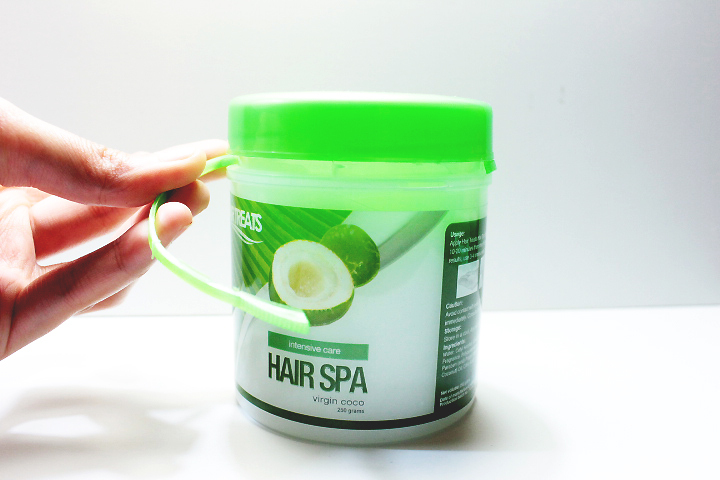 You can get a small tub for Php 79 and Php 200+ for two big tubs when they're on sale. I have already tried the full-size jars of their Lavender, Argan Oil, and Tsubaki variants and they are all lovely! But my favorite of all would be the Virgin Coco variant intended for intensive care. I used to take advantage of their buy-one-take-one promo and spend hours massaging my scalp with this and the Lavender variant, which smells really good by the way! 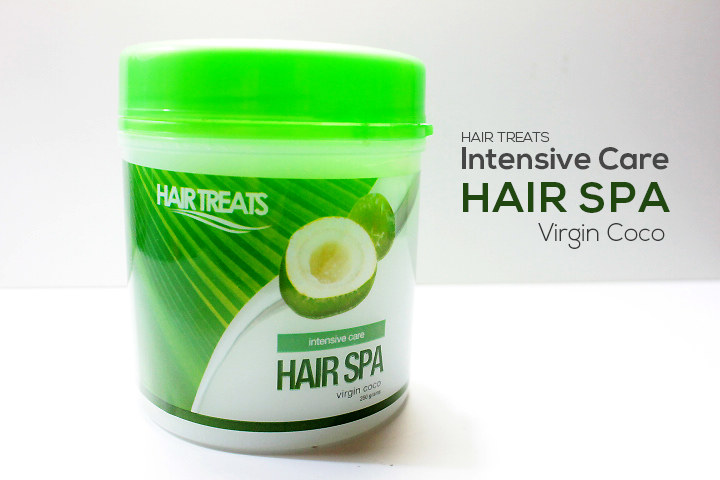 If you like weekly hot oil treatments at the comfort of your own home then Hair Treats Intensive Care Hair Spa is your best bet. 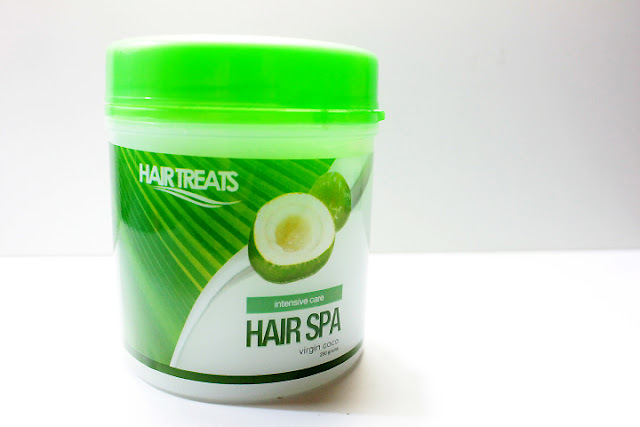 What I Like About Hair Treats Intensive Care Hair Spa?